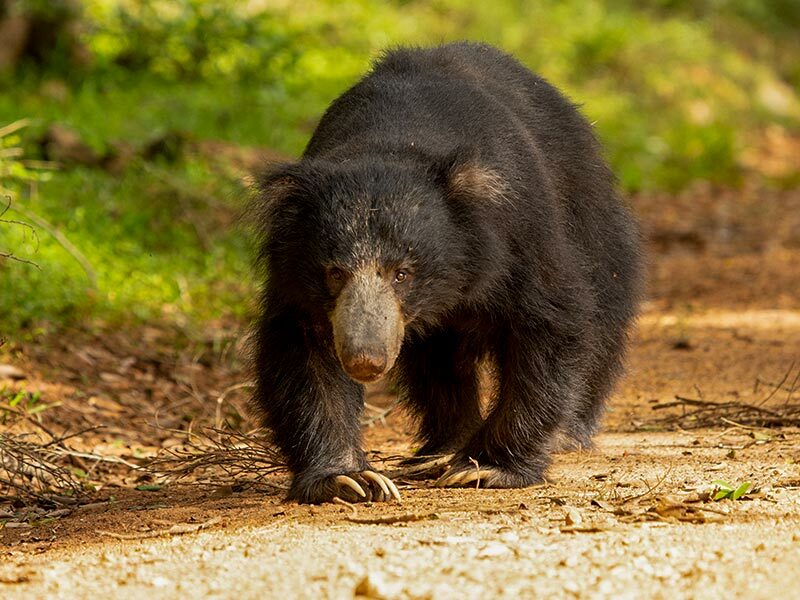 Apart from India, Sri Lanka is the only other Bio Diversity hotspots for the Sloth bear. 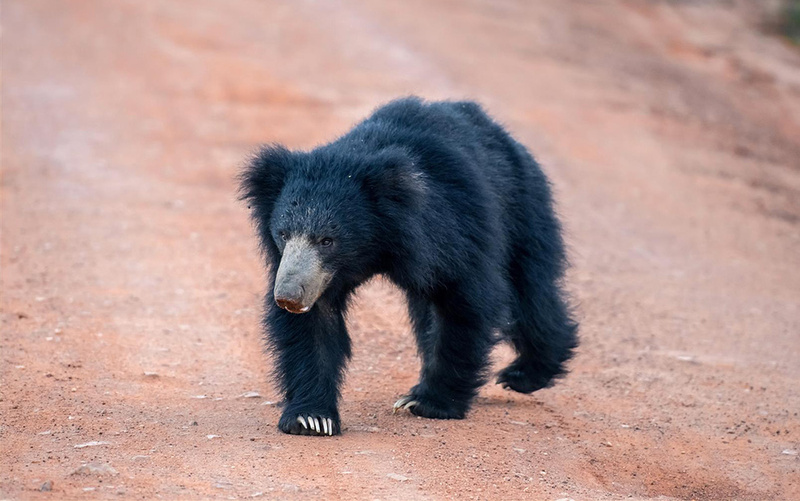 The Sloth bear is the only representative of the family Ursidae of the order Carnivora found in Sri Lanka, thus the sub species is endemic to the country and is smaller in size compared to the sloth bears in the rest of the other parts in the world. They are mostly encounter in Remote jungles where human habit is at its least movements. Made famous by the character Baloo in the Disney adaptation of Kipling’s Jungle Book, the sloth bear is a comical yet charismatic animal. During the fruiting season of the Palu tree between June and August the bears go in to a feeding frenzy going crazy over the sweet fruit. This makes it one of the best times to come and see these bears in the wild. During the seasons where palu is not in fruit the bears feed mainly on insects, with the termite being their favorite prey. The animals are well adapted to eating termites, with long strong claws that enable them to dig up the concrete hard termite mounds, the lack of two front teeth enables them to use their snout as a vacuum cleaner, sucking up termites. Being omnivores, they will also occasionally scavenge on other dead animals. The bear also appears in local folk law in the appearance of the demon Mahasona. During the time of King Dutugemunu, two giants are said to have engaged in fight where one was beheaded by the other, only for a witness feeling sorry for the slain giant replaced his head with bears. When you’re out on safari in willpattu National park, Yala National park or Wasgamuwa National park, keep an eye out for a track that look very much like that of a small human on the sides of the roads and you are bound find a bear at the end of those tracks. Nature Odyssey will take you on a journey through the wilds in search of Baloo and his friends clowning around in dry zone jungles, so don’t hesitate to give us a shout.